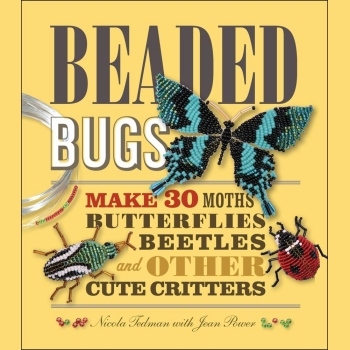 These neat beaded critters are so shiny and seductive you just have to handle them! All the different options are based on six straightforward prototypes, and graded projects take you from your very first quick and simple butterfly to some more complex bees and bugs. Sturdy enough to be pressed into plenty of uses when you've made them, they're also popular gifts (try a ladybug as a keyring or phone charm, or a pair of teeny, vivid scarab beetles as earrings), though you may find yourself making duplicates so that you can keep your favourites. 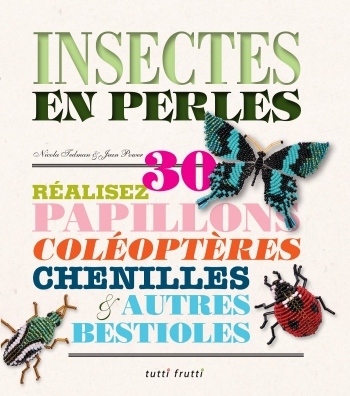 To add to their charm, all the projects in this book are based on real species from all over the world, and also included are a few facts on each bug along with its easy-to-follow pattern, so you can catch up on your entomology (that's insect know-how, for the uninitiated) as you bead. This book was mainly written by the very talented Nicola Tedman and most of its contents are her captivating work.